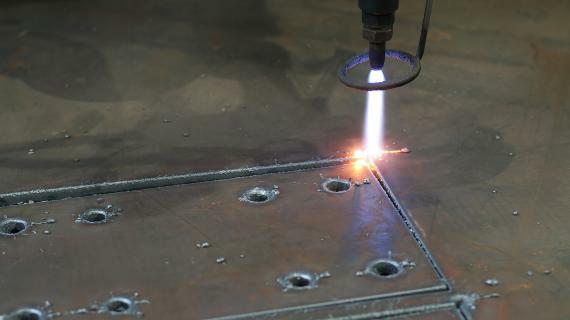 How to increase savings, cleanliness and product quality in mechanical production. Nilfisk industrial vacuums help maintain machine tools and collect oil, saving in time and resources. Our scrubber dryers and sweepers deliver maximum safety and a flawlessly clean floor. 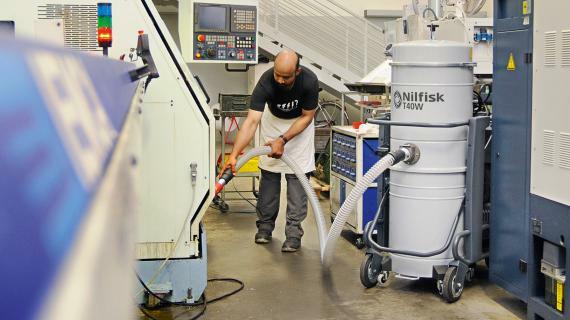 Why should you choose Nilfisk for your metalworking facility? 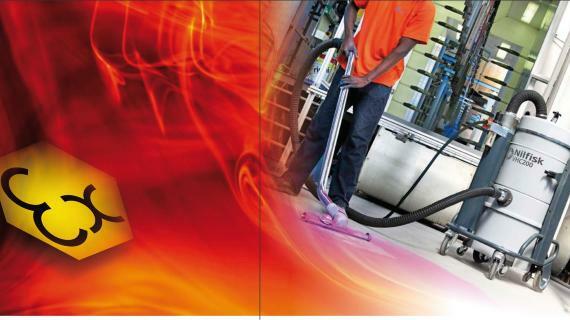 With more than 100 years' experience, Nilfisk is one of the leading global manufacturers of cleaning machines. 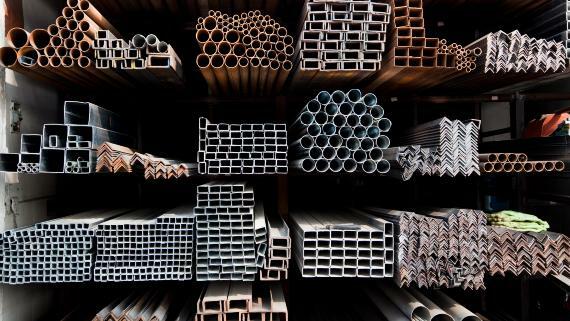 We have extensive knowledge of the specific needs of the metal sector. Discover the benefits of Nilfisk products and improve the efficiency of your company. 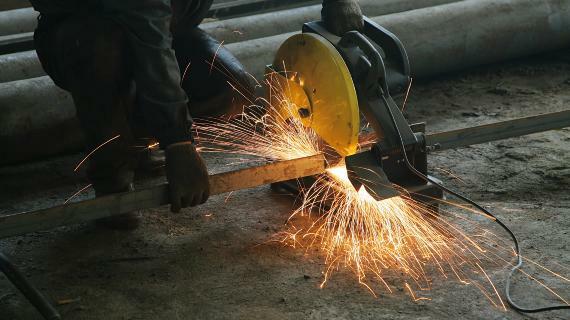 One of the biggest problems in metal production is keeping the environment and machinery clean. Nilfisk co-operates daily with mechanical companies around the world to provide highly reliable professional solutions. Discover a solution that can immediately improve your daily operations. The industrial vacuum cleaners in our OIL series can vacuum up cutting oil and emulsion along with shavings. The solid and liquid components are separated via “macro-filtration”, allowing the emulsion to be reused. 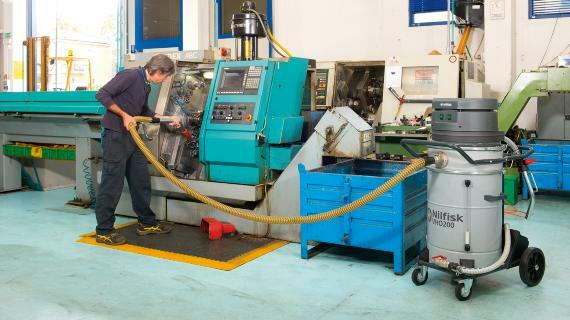 Regular use of vacuums from the OIL series helps maintain the machine tools and saves money. 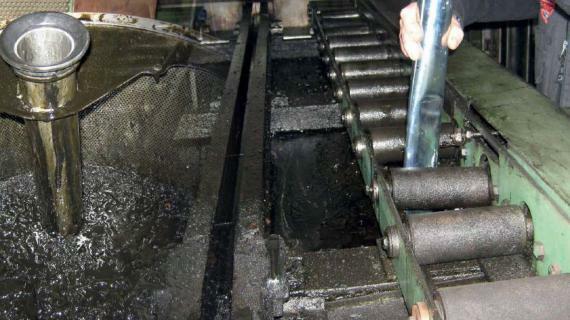 Every mechanical production company needs to constantly vacuum up oil, emulsions, chemical solutions and water. Vacuuming of liquids represents a saving if the emulsion is to be filtered and reused, but also because the time dedicated to cleaning and maintaining the machinery and the surrounding areas is reduced. For such operations, Nilfisk has produced model VHO 200 which allows liquid to be expelled at pressure, facilitating storage of liquids in drums or sits disposal in the appropriate manner. VHO 200 also performs suction and microfiltration of solids and liquids. 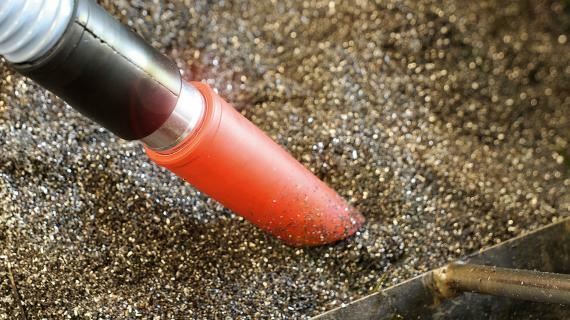 Nilfisk Industrial Vacuum Solutions offers the ideal solution for vacuuming precious metals in order to recover every single shaving or speck of metal while it is being machined. Companies using Nilfisk vacuums are able to recover every single particle of metal thanks to dedicated filters. The investment in the vacuum is quickly recovered. Soils ranging from ordinary dust and dirt to oil and debris are commonplace on factory floors, requiring an industrial-strength floor cleaning solution. 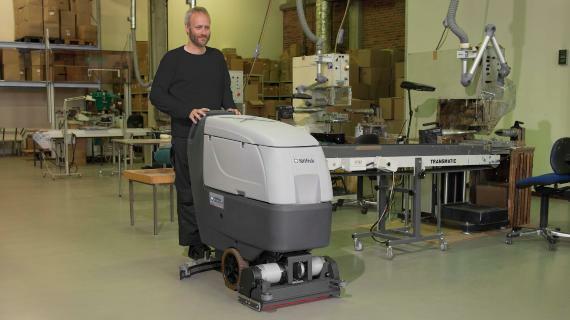 Nilfisk’s rugged floor cleaning equipment tackles these challenges with ease, cleaning thoroughly. The machines are easy to maintain and increase productivity. Get a clean and safe floor and save time and effort. Cleaning activity in transport production is highly diverse. 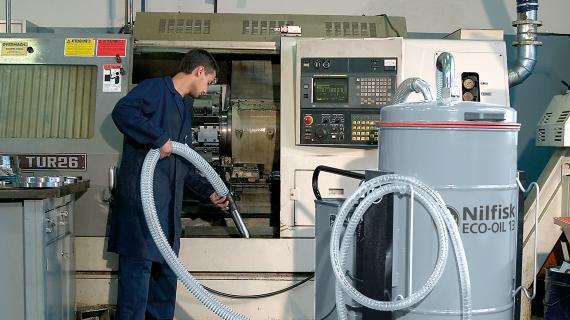 Production environments mainly need cleaning and maintenance of CNC machines (see metalworking section). In assembly departments, it is necessary to keep the floor constantly clean to ensure maximum operator safety. 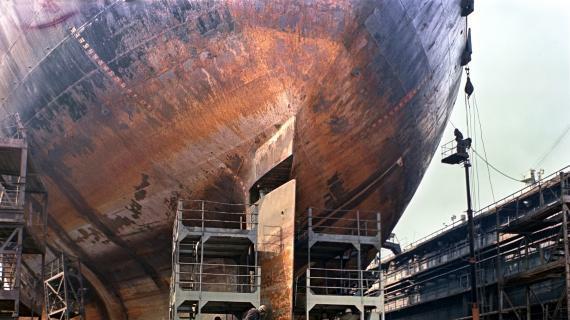 For the maintenance of vehicles, from cars to ships, cleaning is the central activity. 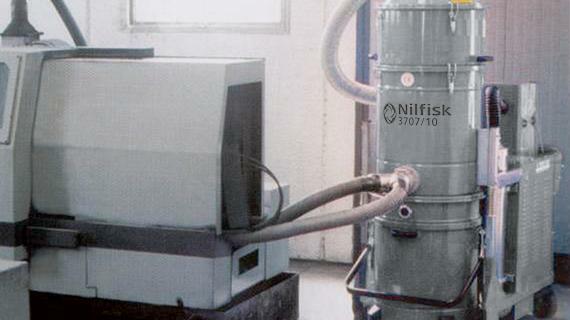 Nilfisk has dedicated solutions for plants producing refractory materials, in particular moulds containing graphite. Industrial vacuums continuously vacuum the high quantity of powders and waste material produced inside the milling cutters. Using a Nilfisk industrial vacuum guarantees high product quality, since products are not contaminated by production waste. Nilfisk cleaning also ensures perfect maintenance of the milling cutter and a healthy, dust-free environment. Incendiary materials like plastic, magnesium, aluminum, lithium and sodium represent a danger as they can burn or explode if ignited. 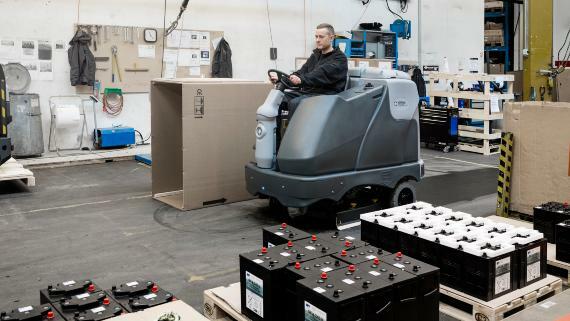 Nilfisk Industrial Vacuum Solutions provide both electric and compressed-air vacuums which are ATEX certified, able to operate in the presence of these materials without sparks. The vacuums can be used in ATEX zones 1, 2, 21 and 22. The floor of vehicle production areas require constant cleaning. Oil and thinners on the floor must be removed before they can cause accidents; dusty soil can be moved around by the ventilation systems and makes the environment dangerous. Nilfisk scrubber dryers are popular because they are fast and effective in making the environment safer and cleaner. 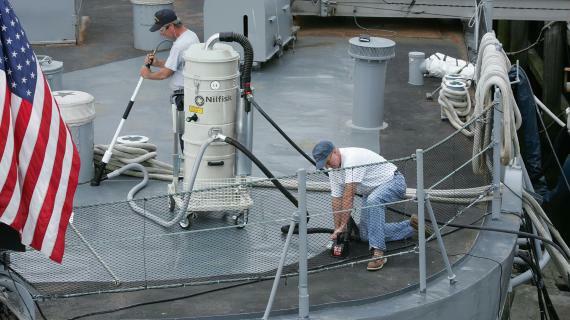 That's why Nilfisk ATEX certified vacuum cleaners are used by major aeronautics and ship manufacturers around the world. 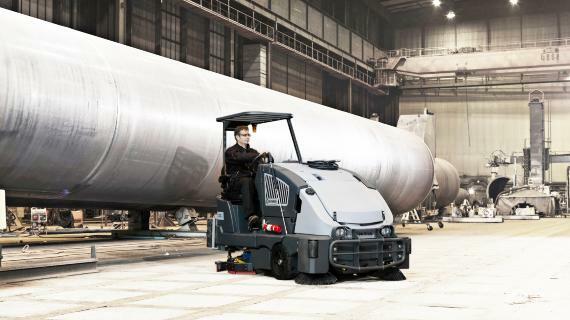 High power vacuums, ride-on scrubber dryers and ride-on sweepers are irreplaceable tools in heavy industry operations where material recovery is important for safety and for cost control. The Nilfisk combination machines series easily removes all kind of dust with high brush pressure. A cleaner environment quickly improves safety and productivity. Professional cleaning that wouldn´t let you down - ever!